The eSIM has been around for a long time but has kept a low profile, at least when it comes to smartphones. But that will finally change, because with Apple one of the really big fish in the pond is now pushing the topic through - against the resistance of the providers, who just have to take part now. Apple's announcement that the new iPhones would come with eSIM, i.e. a built-in and in principle freely programmable SIM card, was one of the big surprises of the Cupertino company's Gather round keynote. This should be a big step forward for eSIM in smartphones. Once again, Apple is of course not the first to support eSIM. Google already offers an eSIM variant in Pixel 2 and XL, and Samsung was a pioneer in smartwatches years ago. Apple has only just joined the party, fashionably late of course. But the step to equip the iPhone with eSIM as an alternative to nano SIM is a paradigm shift. 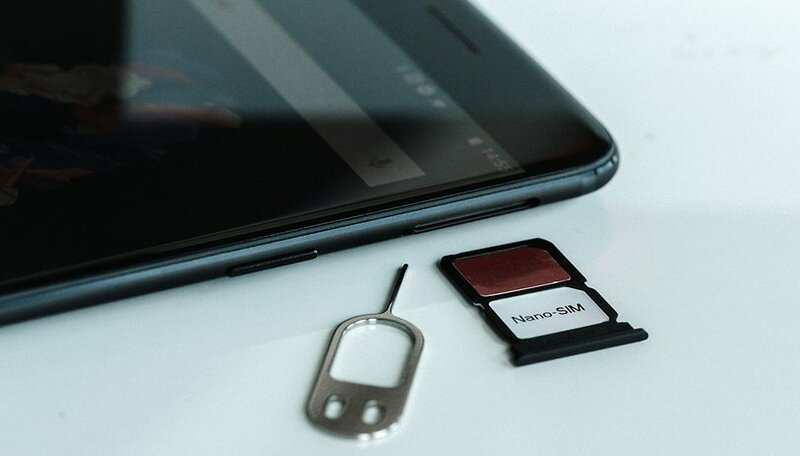 If the best-selling smartphone has the built-in SIM on board, it will be a big hit with the masses. The industry is currently in a transition phase, and this will continue for some years to come, because this transition has only just begun. All the wiser of Apple to promote the new iPhone directly as a dual SIM and to support a normal nano SIM in addition to the eSIM. Apple smartphones are thus equipped for the present and the future. Android competition will quickly follow suit. The bottom line is that the eSIM offers customers tangible benefits. According to probably all experts, the programmable SIM leads to a much easier switch between providers and thus directly to higher price pressure - mobile phone contracts will, therefore, become cheaper. But for eSIM to unfold its advantages at all, providers have to get on board. We are still a long way from having eSIM available nationwide. Verizon, AT&T, and T-Mobile support eSIM in the United States, but we not exactly happy about the innovation. Remember when Verizon and AT&T were accused of colluding with the GSMA to try to make it harder to switch providers using eSIM? In the UK, EE is the only provider that supports eSIM, and the situation is similar in other European countries..only one or two operators offering eSIM per nation. The first eSIM products offered by providers do not have duo-SIM functionality, i.e. - like a conventional SIM card - they only have a profile of a network operator that cannot be changed. Customers can only use one profile of a network operator in one country at a time. Instead of a SIM change, the profile would have to be changed if customers wanted to use the device with a different operator. "eSIM will be available later this year through a software update. Use of eSIM requires a wireless service plan (which may include restrictions on switching service providers and roaming, even after contract expiration). Not all carriers support eSIM. Use of eSIM in iPhone may be disabled when purchased from some carriers. See your carrier for details." Right now it’s still unclear whether this is due to Apple falling behind schedule when it comes to software, or whether the mighty brand actually backed down under pressure from the carriers or is simply still working out agreements. So there is still a lot to be done before eSIM can actually take off and offer easy switching to consumers. There is still a lot of resistance to this, especially among providers, who stand to lose if customers can freely switch back and forth without having to wait weeks for SIM cards to be sent by post and need patience until the two-year contract expires. Switching between suppliers must become easier. But there are more and more signs that eSIM will actually prevail. Apple, the most important smartphone manufacturer, is now pushing eSIM into the market, in exactly the right combination for the transition phase between traditional SIM cards and electronically managed eSIM. So the liberation from the good old SIM is slowly coming into focus. Are the advantages of eSIM important to you? I'll stay with my dual SIM OP6. 1) No opening in the outer case thus easier to waterproof. 2) Less space needed in the phone (or watch). eSIM should be a standard feature on all phones going forward. Considering how TINY the micro sims are, and how crappy my eyesight is these days, it would be nice not to bother with them. The only downside I see, is if a carrier refuses to "accept" the e-sim on their network, IE: switching to a MVNO, like I use, the sim card contains a "fake" IMEI number that will allow the device to work on the MVNO's provider network. The article did not explain how eSIM would be an improvement over simply switching SIM cards when traveling to another country. It may be easier, but it is not obvious (to me) how/why that would be true. Switching providers is already easy. Most consumers don't really care.